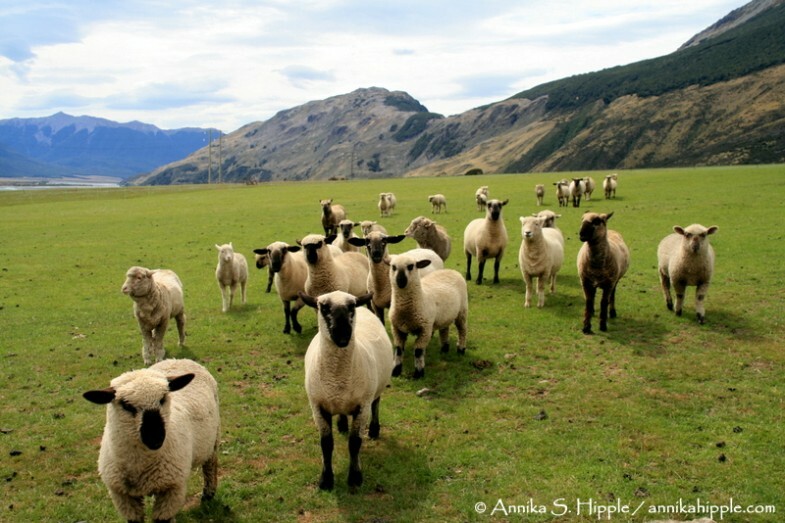 New Zealand is well known for having more sheep than people; the ratio currently stands at a little over seven sheep for every one of the country’s 4.42 million people. Although the sheep-to-humans ratio has declined dramatically in recent decades, the animals are still a common part of New Zealand’s pastoral landscapes. I took this photo at Cora Lynn Station in the Southern Alps west of Christchurch. The station is located on the property of Wilderness Lodge Arthur’s Pass, one of my favorite places to stay on the National Geographic Expeditions trips I have managed in New Zealand. A fun bonus during our time there was the opportunity to learn about the sheep industry and see the station manager put his sheep dogs through their paces. I like this photo because it captures a sense of the vastness of the landscape, and because of the way the line of sheep stretching into the distance encourages the eye to move through the image.